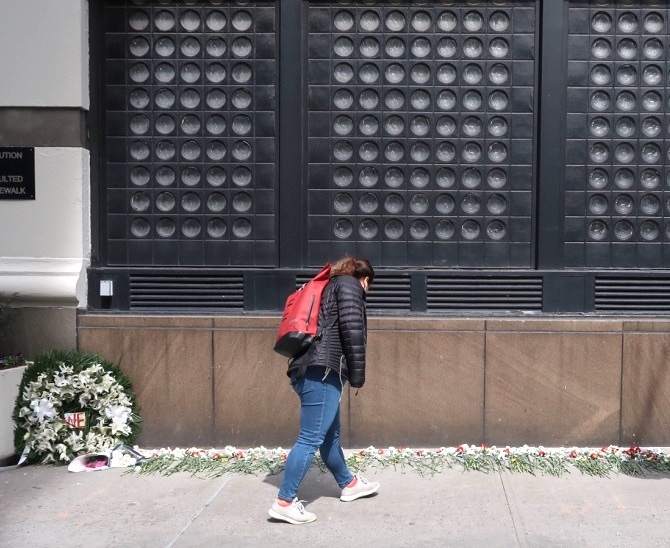 Every year on the anniversary of the Triangle Shirtwaist Fire someone lays a rose for every victim in front of the building where the fire occurred. Learning about this fire was what first ignited my passion for research. I didn’t hear about it until I was in high school, but I had to know exactly what happened, and who died. It was a lot harder to track down information in the 1970s, let me tell you, and you really had to want to know. I’m so glad someone puts out roses. This story has always fascinated me too. When are you going to write your screenplay about it? I’m always surprised it doesn’t show up in more fiction or movies. Felt the same way about the New York City draft riots. Unbelievable stories, not much talked about anymore. I guess there’s been so many sad events in history we run out of the time to cover them all. Most of the victims were young women and girls ages 14 to 23. This tragic event was the largest loss of life by fire in NYC at the time at 146 victims some of whom jumped to their deaths in groups of 4 all holding hands rather than burn to death. It gave rise to labor laws and workers’ rights. On the same date in 1990 a spurned man with 1 gallon of gas torched the Happy Land social club killing 87 people. Only 3 people made it out safely one of which was his intended target. This was the 2nd largest loss of life by fire in NYC up to that time. I responded to that fire with Ladder Co. 49 and with Lieutenant Fred Ill Jr. who as Captain of Ladder Co. 2 in midtown responded to the World Trade Center on 9/11/01 and was killed with the rest of his company.